The Wine and Cheese Place: Barrel Aged Wine! We craft this richly textured Cabernet Sauvignon with Monterey County fruit, picked at the peak of ripeness in our coastal vineyards. In a truly original alternative to traditional aging, we set aside a portion of the blend to age in a mix of new and used bourbon barrels. The new barrels give the wine its deep undertones of toasted oak. The used barrels—selected from a renowned Kentucky distillery—exude notes of vanilla and dried herbs, hinting at the fine bourbon that once graced these casks. The result is a bold, flavorful wine, unlike any other Cabernet. Layered and complex, our Bourbon Barrel-aged Cabernet Sauvignon leaps from the glass with aromas of blackberry cobbler, graham cracker, brown sugar, milk chocolate, coffee and smoke. A palate of blueberry pie, praline, sweet vanilla custard, caramel and mocha is framed by soft, chewy tannins and a hint of toasted oak on the lingering finish. 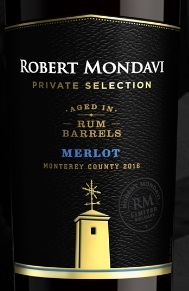 Our latest addition to the portfolio, Rum Barrel-Aged Merlot blends the traditional craftsmanship of California winemaking with the exotic tradition of dark rum barrel aging. This results in an incredibly bold and unique sensory expression. 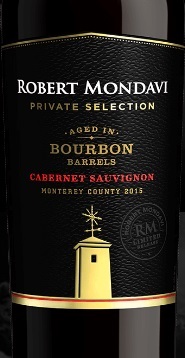 Following in the footsteps of our Bourbon Barrel-Aged wines, a portion of this Monterey County Merlot is aged in used Rum barrels. These used barrels impart complex nuances of molasses and toasted coconut. Ruby red in color, our Rum Barrel-Aged Merlot fills the glass with rich aromas of molasses, maple, and black plum. Well balanced flavors of jammy plum and blackberries with toasted coconut, baking spices and rich vanilla lead to a long, lush finish. The Bruery at half price!